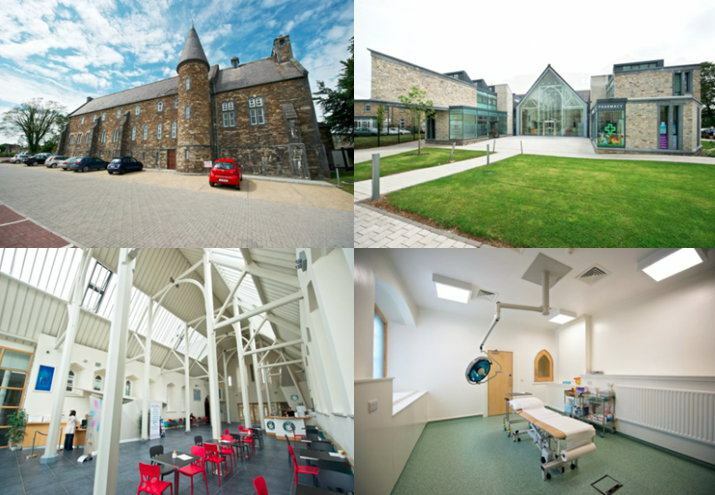 Clancy were awarded this contract to completely refurbish the existing convent and build two new wings to each side of the existing convent to transform it into a state of the art medical facility. This listed building can accommodate 50 health care professionals, from general practitioners to chiropractors. The facility also includes provision for a gymnasium and a substantial pharmacy. Transformation of the old Presentation convent was designed by W. Pugin who is associated with the Houses of Parliament in the UK. Significant work went into the design and construction of the new extensions to ensure it blended in with the existing listed building. The priority was to maintain the original features and incorporate a new state of the art medical facility which encompasses many different areas of the medical profession under the one facility. The convent was adjacent to a national school and a traffic management plan was put in place to ensure deliveries to site avoided the peak traffic times for drop off and collection from the school. The completed building was short listed for the prestigious award of World’s Best Building at the World Architecture Awards 2010 in Barcelona, where the building was awarded 3rd place.